S-lon participated for the 15th consecutive year at the Construct Exhibition 2018 that was held at BMICH from 24th to 26th August 2018. Leveraging over 60 years of water heritage, the stall was designed and constructed to depict the Sigiriya mountain reminiscing the great hydraulics that blended technology with its natural environment. 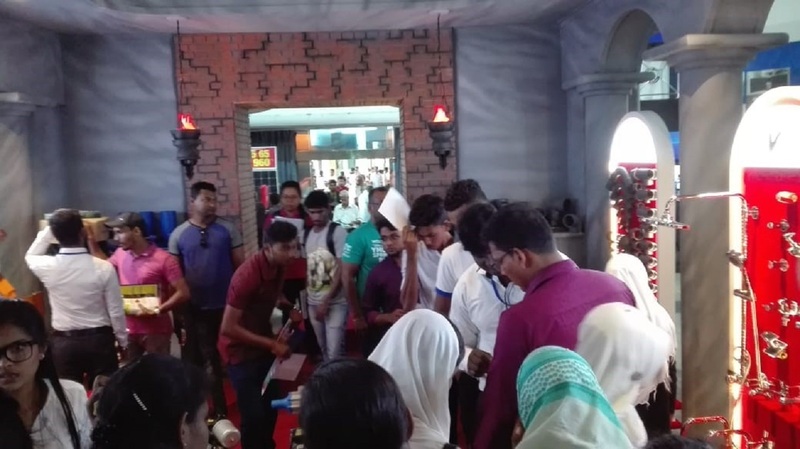 A large number of house builders, contractors, engineers, architects and students visited the stall at the exhibition and showed a keen interest on the products on display. It also provided both information and advice by experts from S-lon on the products exhibited to many interested visitors to the stall. The stall showcased the full range of S-lon piping systems and products for a host of applications that range from portable cold water, hot water, ground water, sewerage, drainage, waste water and irrigation, to rainwater disposal systems, electrical and telecom conduits, domestic electric water pumps, chrome plated faucets and accessories and PVC roofing the latest product introduced to the market. Construct Exhibition organized by the National Construction Association of Sri Lanka, is the country’s largest and most prestigious construction industry related exhibition considered as the construction industry’s key trade fair in the South Asian Region.